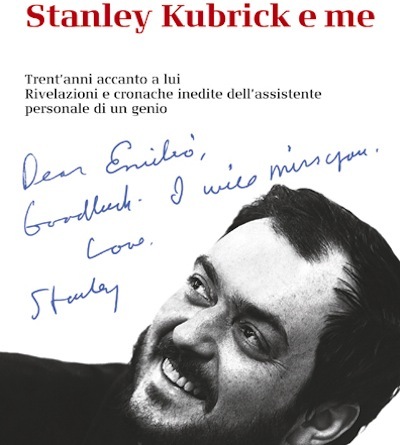 Stanley Kubrick & Me, written by Emilio D'Alessandro with my good friend Filippo Ulivieri, is D'Alessandro's memoir of his time as part of Kubrick's inner circle. D'Alessandro initially worked as Kubrick's driver, though he later became one of the director's closest associates. Stanley Kubrick & Me (subtitled Trent'anni Accanto A Lui: Rivelazioni & Cronache Inedite Dell'assistente Personale Di Un Genio) tells the story of D'Alessandro's thirty years with Kubrick. It's the autobiography of the director's most trusted assistant.